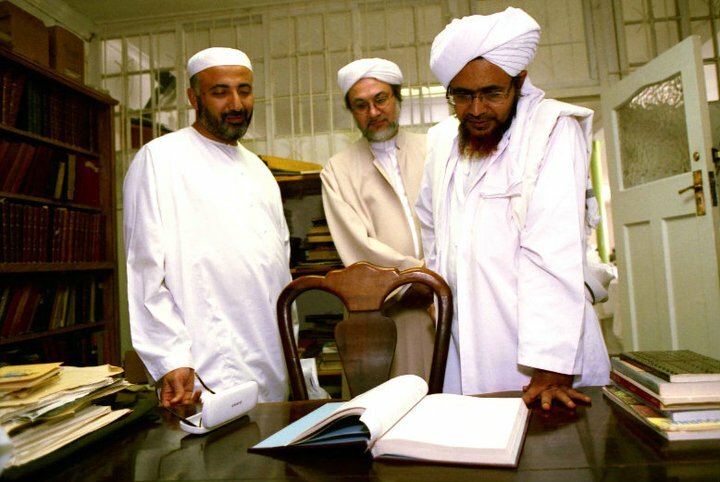 Shaykh Ahmad Hendricks spent ten years specializing in Islamic Law (fiqh and usul al-fiqh) at the Ummu l-Qura University in Saudi Arabia. Previous to this he spent a number of years studying at the feet of his late uncles; Shaykh Mahdi, Shaykh Ebrahim and Shaykh Mujahid Hendricks. 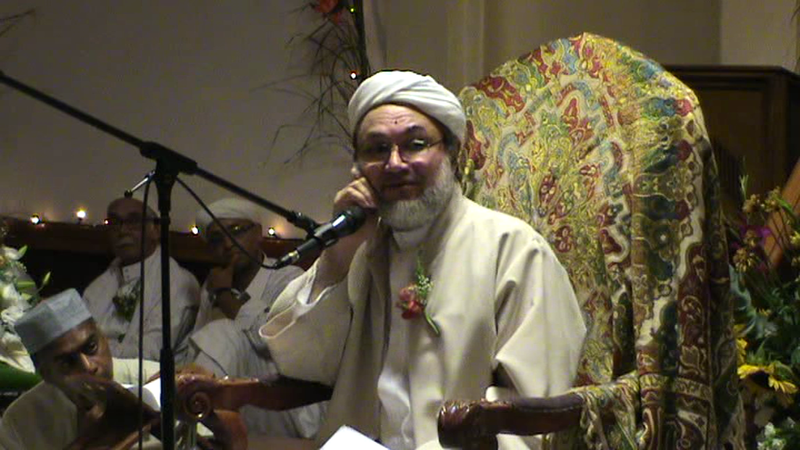 Together with his brother Shaykh Seraj Hendricks, he is the current resident Shaykh at the Azzawia Institute in Cape Town. 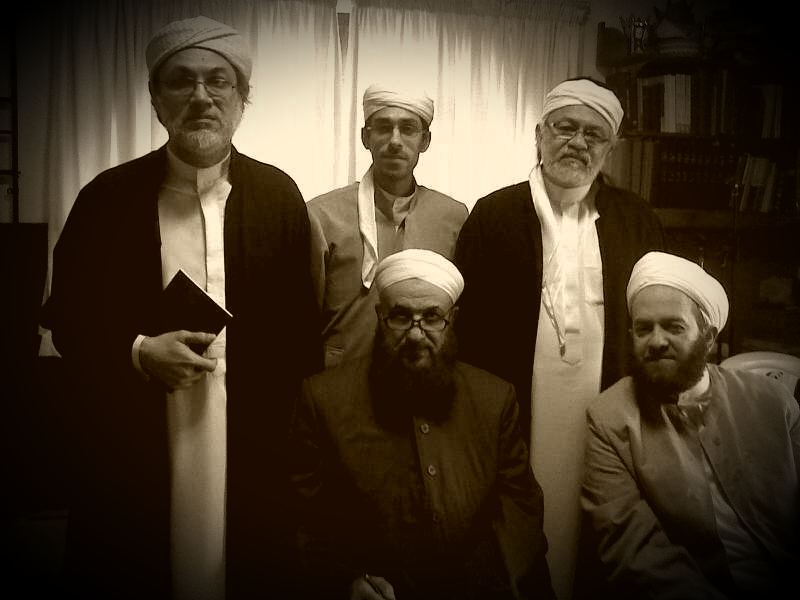 From Left to Right: Shaykh Ahmad, Shaykh Aadaab al-Himshi (in front), Sidi Muhammad Allie Khalfe (behind), Shaykh Seraj and Shaykh Yahya an-Ninowy. The Shaykh was schooled by his uncles for most of his life before departing to Makkah. Shaykh Mujahid Hendricks sat at the feet of the great Shaykh Amin Kutbi who narrated from Shaykh Umar Hamdan [May Allah be pleased with them]. The Shaykhs, Mahdi and Ebrahim Hendricks narrated and received Ijaza from the likes of Sayyid ‘Abbas al-Maliki, Shaykh Bakr al-Bar, Shaykh Bakr Babsayl and Shaykh ‘Umar Ba Junaid. Shaykh Mahdi and Shaykh Ebrahim received specific Ijaza in the thabat of Shaykh al-Amir al-Kabir from Sayyid ‘Abbas al-Maliki, Shaykh Mahdi, being one of the authorities in transmitting the Shafi’i fiqh works of Imam al-Shirbini. Shaykh Ahmad was therefore the recipient of a wealth of knowledge, even before departing to Makkah. The Shaykhs uncles in turn, were brought up and trained by their father, Shaykh Muhammad Salih Hendricks who sat at the feet of Shaykhs ‘Umar Ba Juniad and Sayyid Husain al-Hibshi (May Allah be pleased with them], who in turn narrated directly from the great Sayyid Ahmad Dahlan. 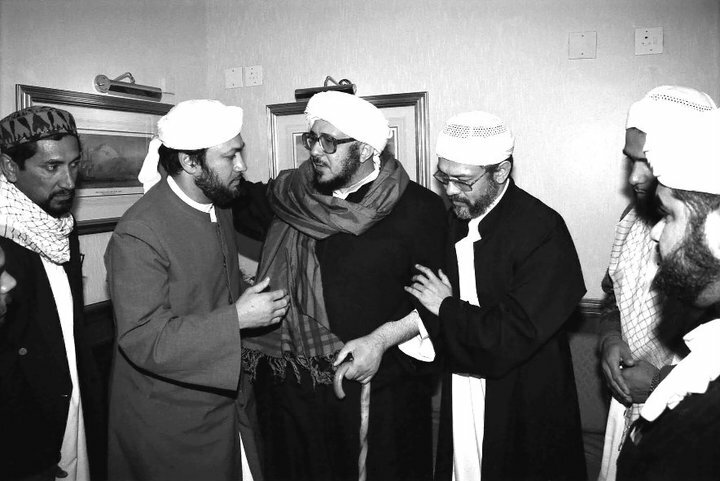 Aside from the studies at the Ummu l-Qura University, Shaykh Ahmad spent some 10 years at the feet of the ‘Allama of his time, Sayyid Muhammad Alawi al-Maliki from whom he obtained –along with his brother Shaykh Seraj – a full ijazah in the religious sciences and a number of tariqas – particularly the Ba Alawi tariqa. He also obtained ijazahs from both the late Sayyid Ahmad Mashur al-Haddad and Sayyid Abd al-Qadir bin Ahmad al-Saqqaf [May Allah be pleased with them]. The Shaykh is the author of the work, ‘Kitab ut-Tawhid’, which is a classic manual pointing out the basics of the Aqida of the Ahli Sunnah wal Jama’a on the madhab of Imam Abul Hasan Ash’ari. Shaykh Ahmad has published a number of magazine articles including Tafakkur, Sainthood and nearness to Allah, Shari’a, Tariqah and Haqiqa and many more articles. The Shaykh also hosted a very popular radio series, Sunday Morning “Life after Death” and the Thursday Night “Tasawwuf Show”, which did very well on the Voice of the Cape Radio station. 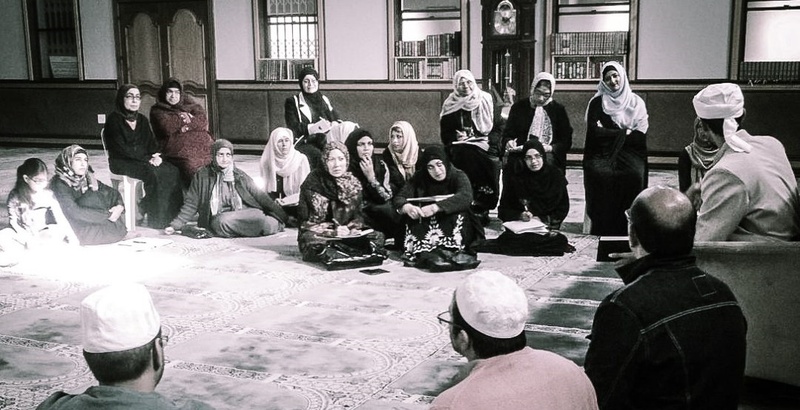 Shaykh Ahmad lectures every Monday evening at the Zawia and has taught many classical texts including the Ihya ‘ulum al-din and the Bidayatul Hidaya of Imam al-Ghazali, The Jawhara of Imam Laqqani, The Riyadu Salihin of Imam Nawawi, and the Shafi’i fiqh manual of Abu Sujjah.